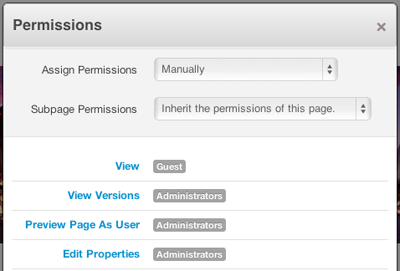 First we'll set the permissions to Assign Permissions: Manually. This will let us customize settings for this particular page (rather than inherit its permissions based on another page). Check the checkbox for Quality Assurance, then Save, and any attempts to delete this page will now trigger our workflow. 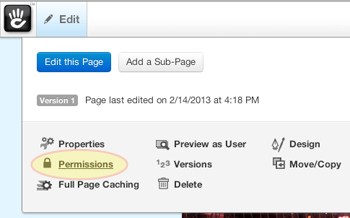 Some page permissions will not have a Workflow tab present. This is because these items represent page properties that are managed by Versions in concrete5. 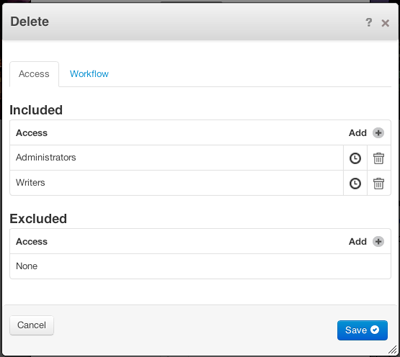 If you need to use a workflow to manage any of the following permissions, you'll need to attach the workflow to the Approve Changes permissions item. You'd then want to grant the users whose work you want to approve / deny access to each permissions item (Edit Contents, Edit Properties). 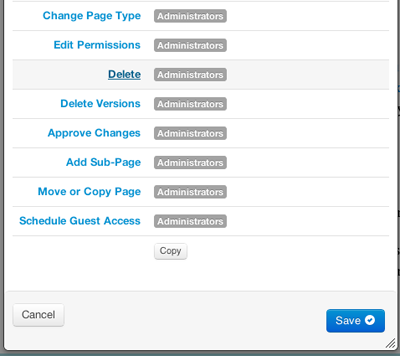 Together, your users will be able to change pages and then submit their changed to the appoval workflow. 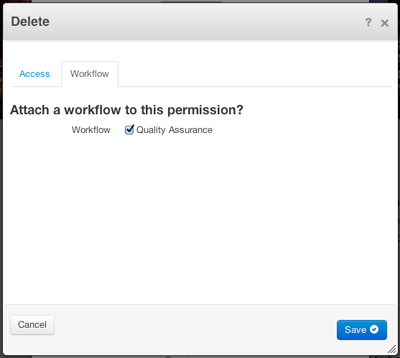 Now that our workflow is attached to permissions, what happens? In the next section we'll show what happens when someone from our Writers group tries to delete this page.